Phat Golf creates a golf experience like no other. 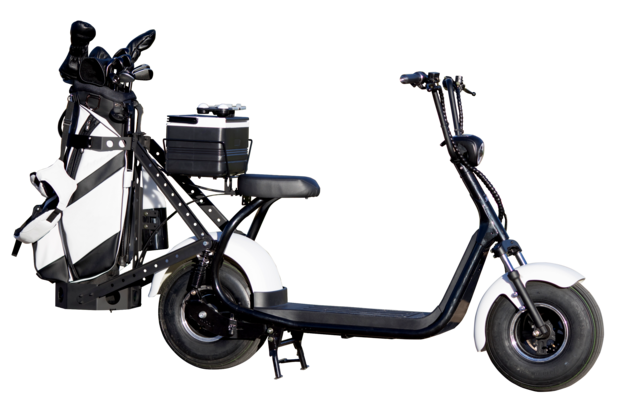 Join the single r‍‍‍ider movement on an easy and fun to ride, all-electric Phat Golf Scooter. With a frame of steel, 95N/M torque, and a 1200W motor, Phat Golf Scooters offer style and performance, and they are built for a comfortable, smooth ride on the course. See what sets our golf scooters apart from the competition. Looking for more information? Check out our FAQs, or contact us today. Our team is always excited to chat about golf and‍‍‍ scooters.